(CNS): A man is in stable condition after he was stabbed during an incident in the Mount Pleasant area of West Bay on Friday night. Police said that 911 received a report at around 10pm last night and emergency services and police were sent to the scene, where they found the victim. The man had sustained stab wounds in his back and abdominal areas but he was conscious and breathing. He was taken by ambulance to the George Town hospital, where he was admitted and is currently being treated. There are nodetails available from the RCIPS about the circumstances and CID is said to be investigating. Anyone with information call West Bay police station on 949-3999 or Crimestoppers' anonymous line on 800 TIPS. (CNS): Two different victims were reportedly mugged in the early hours of Saturday morning at two separate parts of the islands. George Town police are investigating a robbery on Lawrence Boulevard, while Bodden Town officers are looking into a mugging in North Side, an RCIPS spokesperson said. The George Town robbery occurred around 2:30 Saturday morning when a man was robbed by three other men. Police reported that the victim sustained facial injuries and was taken to the George Town hospital, while two other men were arrested and are currently in police custody. 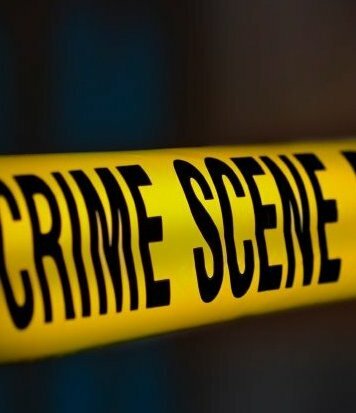 Bodden Town CID is investigating another street robbery, which allegedly occurred along Larriat Road, North Side at around 9:30 on Friday night. The complainant reported that he was robbed of a small amount of cash and a cell phone by three men with a female accomplice. No weapon was involved and the complainant was not injured. Police did not say at what time the incident occurred. Anyone with information on these or any other crime can call 949 7777 or 800 TIPS. (CNS): A visitor to the Cayman Islands form the United States was pronounced dead by medical officials at George Town Hospital Friday afternoon, police have said. The man appears to have died while he was snorkelling off Seven Mile Beach around lunchtime today. Police said that at about 1:25 pm (22 February) the 55 year old United States citizen went snorkelling and got into difficulties. He was rescued and assisted back to shore by persons who were on the beach at the time. The paramedics who arrived on the scene administered CPR and took him to the George Town Hospital but medical staff were unable to save the man and he was pronounced dead, the RCIPS confirmed.